I really don't like Sundays.. today has been a lazy day. But it has given me a chance to catch up on some more blogs and YouTube videos, so it's not all bad. I decided to paint my nails tonight so I thought you might want to read how I done it. I hope you enjoy the tutorial, if I do another one I will try my best to do a step by step using individual pictures too I know that always helps. I really like this nail look and it is very simple to do! I used Superdrug's own brand of plain ready to paint false nails. I love using them, they are a normal kind of length, not too long. I then applied Revlon '185' sweet tart to all of my nails apart from my ring finger, I painted this one white using Barry M '66' matt white (which isn't actually a matte colour it's shiny). 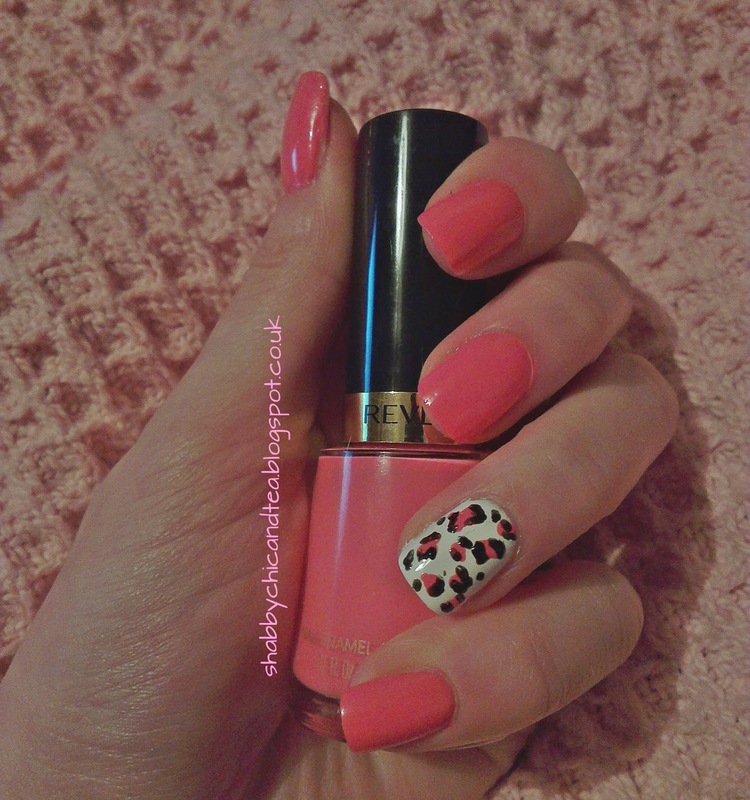 I then took one of my dotting tools with a large nib (you can use a cocktail stick for this part and the next if you don't have them) and Revlon '185' pink and made circle shapes and 'c' shapes randomly across the white nail. Finally once the pink had dried, I used the pointed end of a dotting tool and Barry M '47' black and painted half moon shapes around the pink blobs and dotted some black polish in places. I finished it off with a top coat and that's it done! Gorgeous nails!! Will definitely try it myself!! Thanks for the tutorial!